Just had one of those sad moments. Was talking to one of my old college instructors who I have been friends with since being in their class. Had a disappointing conversation with them. I was basically told I will never become a writer if I self-publish. I know the black mark some of the crap that has come out of self-publish and what it has done to authors and writers. However, I do not feel I am making a mistake and dooming myself to failure by starting that way. I hate that so many people still view Indie and self-publishing in such a negative way and have such a closed mind about it. Makes me want to get published and be successful even more now to prove them wrong! Sadly, there is a Good, Bad and Ugly side to self-publishing. The Good side is that numerous authors who would quite probably be rejected by the big publishers are able to get their work out there. The Bad side is there are authors who are good writers but not good story tellers and the Ugly side are those who can’t string more than two words together in a sentence and create what they think to be a masterpiece, never spell check or grammar check it, don’t bother to get it formatted or edited then self-publish their tripe making those of us who take the time to get it right then self-pub look bad. These are the ones who really need to evolve or die. Evolve as in learn what the word processing program can do and then use those options to make your work better. And get it edited. Of course, its always those people who get all the negative publicity about how bad self-publishing is. This is the same issue that any Indie deals with. 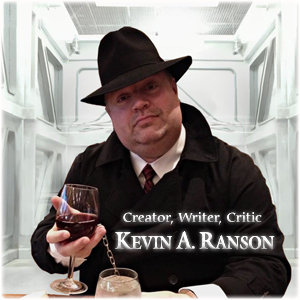 As an internet based film critic, traditional media has long enjoyed poking fun at the idea that all “blog critics” are grossly overweight cinephiles living in their parents basements spouting insightful two-word reviews like “That rawks!” Having said that, that was then and this is now; almost every traditional media critic has an online component and many have lost their in-print jobs due to readers preferences. The same thing is happening with book stores and publishers: the readers have spoken. Books are wonderful things, but a Kindle can hold a small library in a space about the size of an old scientific calculator. With mega book stores closing and traditional publishers squeezing so tightly that even their highest-paid authors are wading into the self-publishing pool, how can anyone believe that if your words haven’t been inscribed upon tree slices with octopus ink that you’re not a “real” writer?